Andre Koo Tech MBA students participate in project-based learning experiences, putting their business and tech knowledge into practice. Projects are built right into the one-year program, enabling students to solve problems in start-ups and established business environments. Stern Solutions are built into every aspect of the Andre Koo Tech MBA curriculum to help students build a portfolio of skill sets, relationships, and experiences and serve as the foundation for successful careers. Each semester, students will participate in experiential learning opportunities that enable them to design, build, and launch technological solutions. Through Stern Solutions, students work on projects that enable them to design, build and launch technological solutions to solve real-world problems. 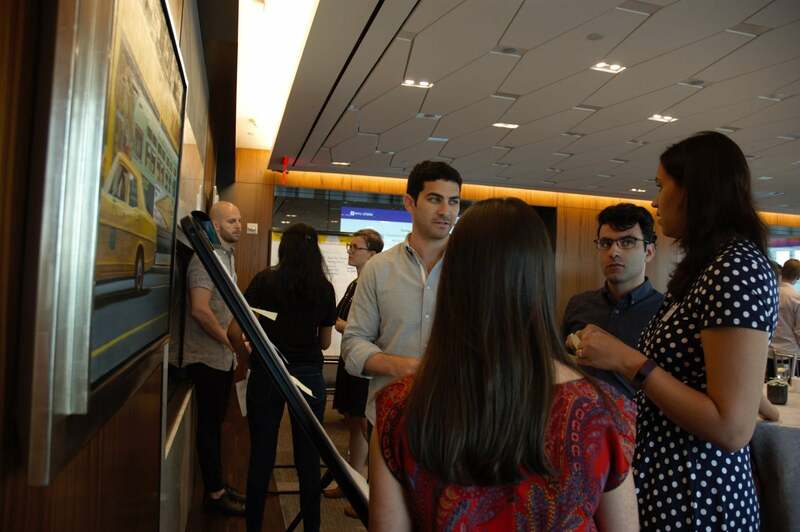 From exploring new product opportunities to analyzing untapped customer segments, Stern Solutions leverages the intellectual horsepower of NYU Stern students and faculty. We tackle complex business challenges while preparing the next generation of leaders to effectively navigate the increasingly complex world of technology and business. Summer Semester NYC Immersion - Design Students will learn to determine business needs worth solving, understand how to validate insights with data, and how to design products that can feasibly be built and launched. Tech MBA students at Citi Ventures designing future solutions for Smart Cities. Fall Semester Stern Solution - Build With a semester’s worth of design thinking and data analytics under their belts, students will shift into building technological solutions for today’s problems. In this semester, they’ll work on understanding prototyping and reiterating, and developing a product roadmap clear KPI’s and client requirements. Spring Semester Stern Solution - Launch With a product designed and built, it’s now time to head to market. In this semester, Stern Solutions will focus on developing a go-to-market strategy, creating and articulating a value proposition, determining revenue and costs forecasts, and building a sustainable strategy. Over two weeks in January, students will travel to Seattle & Silicon Valley for a unique opportunity to learn, network, and explore the west coast tech ecosystem. Academically, the connecting thread of this immersion will be a high impact project with a local Silicon Valley tech company.